O'Sheas is a small, cosy pub, often with a free jukebox and good, cheap beer. There is a pool table upstairs. 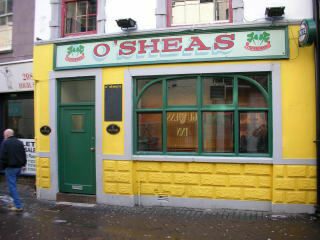 O'sheas is currently having a makeover (early february 2004) so it will be interesting to see what it looks like!